DraftKings won the race to market in New Jersey, launching mobile sports betting this week with an invite-only beta phase of its DK Sportsbook product. USBets got past the velvet rope and into the virtual sportsbook to place some real-money bets on Thursday, and if we had to sum up the experience in a single word, it would be this: overwhelming. The feeling of being overwhelmed is not unusual when it comes to using new gaming technology. Most online poker players will recall how navigating the lobby was no easy task the first time they logged on, and how the speed of the game took them out of their comfort zones at first. Building your first DFS lineup can be a stressful experience because there are hundreds of players to choose from and you don’t know where to begin. 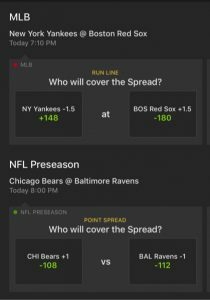 DraftKings went out of its way to make its sportsbook app user-friendly and geared toward beginning sports bettors, but it’s still a lot to take in at first. The reason, simply, is that there are more betting options than your brain can possibly process. This is nothing like grabbing the MLB betting sheet at a casino and casually running your finger down the list of games. This is more akin to having a phone-book-sized stack of those sheets suddenly dropped on your lap. Mobile sports betting is here. And it’s here in all its glory, all at once. The first three are, essentially, Sports Betting For Dummies. It’s the final two that caught our eye, however. Live betting is another way of saying in-game betting — you can bet on individual events during a sports contest in progress. “Cash Out is a new feature that gives you the opportunity to close out your active bet before the outcome is decided. This allows you to secure part of your winnings or cut your losses as the odds change in or against your favor. If, for example, someone decided to bet a dollar on Bonaventure to win that first point of the second game of the tennis match, moments later that someone would be given the option to “cash out” the bet for 92 cents. It’s not a very practical example; why would you bet the dollar in the first place if you were going to cash out for less without the likelihood of winning the bet changing? But it illustrates how the option works. Many of those are sports you expected to see — if not necessarily on Day One, then certainly before long. But cricket? Darts? We joked recently about DraftKings offering daily fantasy for the Nathan’s Hot Dog Eating Contest. Well, DK CEO Jason Robins told ESPN this week that he envisions that very competition coming to the sportsbook eventually. In addition to betting on winners of games, with or without spreads (with more vig at the moment than sharp gamblers might like to see), and point totals, you can also move the lines. For example, in baseball, there’s a standard “run line” (usually in the -1.5 to +1.5 range), but you can also shift to a different spread at a different price. 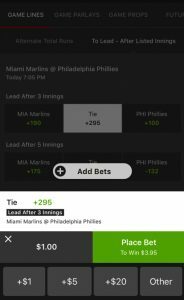 For their game against the Marlins last night, the standard option if you were taking the Phillies was to bet that they would win by more than 1.5 runs, and the bet paid +110. But you could also move that line all around. One alternative was to bet that the Phillies would win by more than 3.5 runs, which would pay +270. You can do the same with the lines for total runs scored in a game, and you can even bet on who will hold the lead after a certain number of innings. 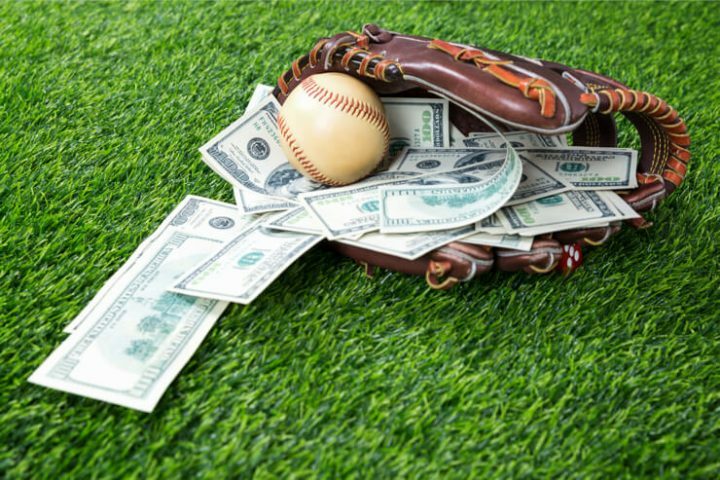 There are also game parlays and game props, such as whether the total number of runs scored in a game will be odd or even. That one’s for those folks who like to bet on the coin toss in the Super Bowl. It’s unclear how long DK Sportsbook will be in beta mode. DraftKings is currently awaiting approval from the New Jersey Division of Gaming before they can open their service to all of New Jersey. One gripe for now: You can’t check the status of your bets from outside NJ. You want to see a crazy house edge? In a boxing match in Atlantic City on Saturday night, Dmitry Bivol is a heavy -10000 favorite. His opponent Isaac Chilemba is only a +1300 dog. The current deposit bonus goes up to $200 in free bets.